Movie review: Do You Believe? NEW YORK (CNS) — Despite its title, the competent ensemble drama “Do You Believe?” (Pure Flix) is not a film well calculated to invite the attention of the inquisitive, still less to convert the doubtful. 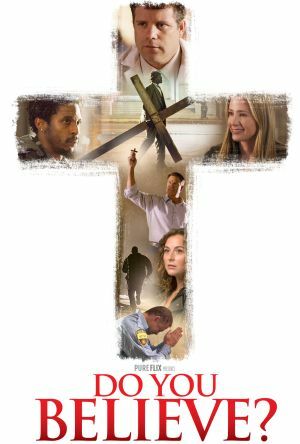 Instead, the primary effect of this latest offering from the folks behind last year’s tendentious box-office winner “God’s Not Dead” will likely be to reinforce its readymade evangelical audience in the creed and values to which they already adhere. Storytelling takes a back seat to — and is put at the service of — sermonizing as director Jonathan M. Gunn chronicles the lives of 12 characters, all of whom are touched by Chicago pastor Matthew’s (Ted McGinley) earnest preaching about the centrality of the Cross in the lives of Christians and the need to put faith into practice. For their part, Matthew and his wife, Grace (Tracy Melchior), do so by taking in pregnant teen Maggie (Madison Pettis) who has been living on the streets. Their generosity toward Maggie helps the childless duo cope with the consequences of Grace’s infertility. Similarly, older couple J.D. (Lee Majors) and Teri (Cybill Shepherd), grief-stricken at the loss of their only child to a drunk driver, find solace by sheltering homeless mom Samantha (Mira Sorvino) and her irrepressibly sunny daughter, Lily (Makenzie Moss). All this is pleasant enough. So too is the hope-restoring romance between despondent war vet Carlos (Joseph Julian Soria) and depressed waif Lacy (Alexa PenaVega), a bond initiated when the pair meet on a bridge from which both are planning to jump. But there are also less comfortable plot lines woven into Chuck Konzelman and Cary Solomon’s script. One involves emergency medic Bobby’s (Liam Matthews) fraught legal battle to vindicate his right to proselytize patients on the job. You don’t have to be a militant secularist like nasty lawyer Andrea (Andrea Logan White) — who threatens to take Bobby for all he has after he converts a dying atheist — to wonder if Bobby hasn’t crossed the legitimate line between church and state by evangelizing on the Windy City dime. As for the fate in store for Joe (Brian Bosworth), an ex-con turned church janitor afflicted with terminal cancer, suffice it to say that the outcome of his strand of the tale strains credibility, resting as it does on a deus-ex-EKG machine turn of events of truly biblical proportions. The film contains some action violence and mature references, including to abortion. The Catholic News Service classification is A-II — adults and adolescents. The Motion Picture Association of America rating is PG-13 — parents strongly cautioned. Some material may be inappropriate for children under 13. So having done all he could to save the man he could offer no words of comfort because he is on the “city dime”. How absurd! Coming from someone who I assume profess a Catholic faith that is obscene. I took my family to watch the movie and we was very disappointed,the scenes kept changing so much it was hard to keep up.I prayed it would help people to understand Gods love.so sad that the producers had a chance to win the lost to Christ n failed.